The following tweet is a reminder to me that as of today, March the thirty-first, Women's History Month is coming to an end for 2019. 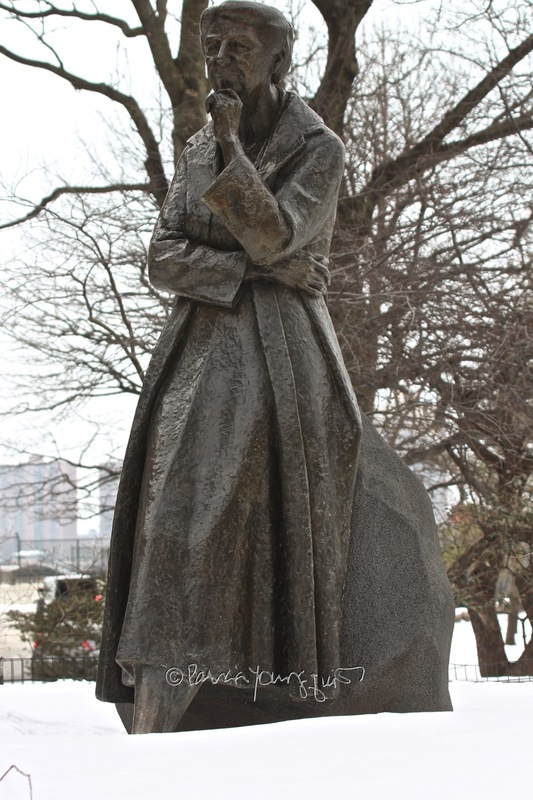 "As #WomensHistoryMonth comes to a close, take a stroll to 72&Riverside to pay your respects to Eleanor Roosevelt, a truly inspiring, influential public figure. She greatly expanded the role of the First Lady, and advocated for advancements in #humanrights & #economicequality." It was posted on Twitter by The Riverside Park Conservancy and as you can see they recommend that one "take a stroll to 72&Riverside to pay (their) respects to Eleanor Roosevelt..."
...where the stories are told in the voice of Cam, a female cardinal who is quite the spokes-bird for both genders of the avian community. So, even though Women's History Month may be ending today, the legacy of many women as well as of female animals continues. 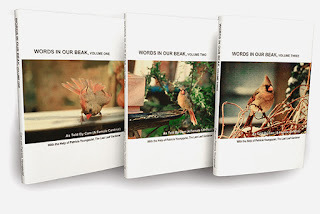 In the case of cardinals it is through this book series.